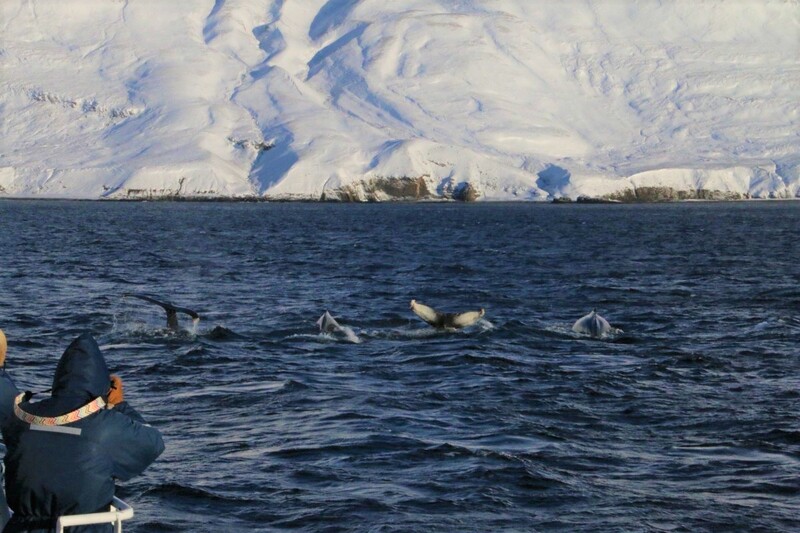 This spring the whale watching has taken place close to Dalvik north Iceland. Whale watching has been very good this spring. It is almost like the humpback whales are luring us out of the harbor as they have come so close. At one time few days ago we were two minutes from the harbor watching a humpback whale. 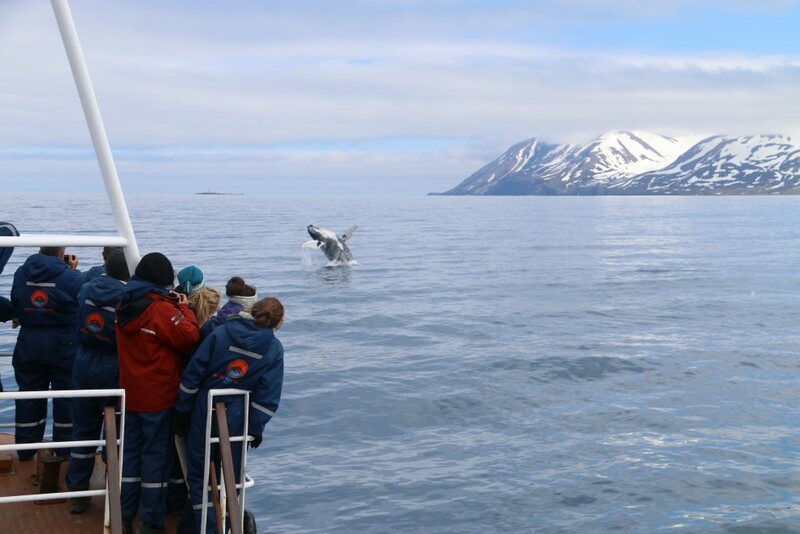 This spring has been very good for whale watching from Dalvik north Iceland. After a winter which was difficult because of weather and sightings we are very optimistic this spring as the sightings have been very good and nice to see up to three humpback whales in one tour. There have been many tours recently where we have spotted humpback whales within 20 minutes. The fishing is also extremely good this time of the year. Caught one 9 kg cod few days ago and other cods were also very big. 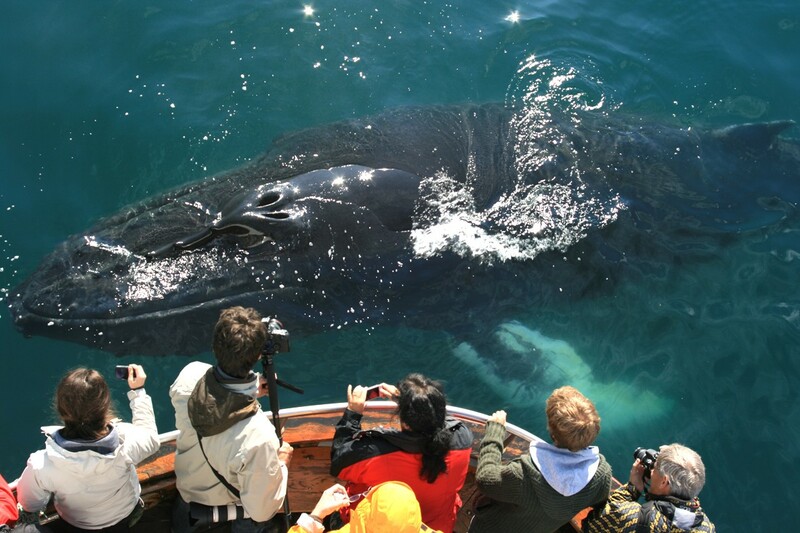 Come join us on a tour and we will try our very best to make it a happy whale watching adventure.